Learn more about the application requirements and deadlines for first-year applicants at Rollins. For complete details about first-year admission, visit Application Guide: First-Year Applicants. *For students submitting test scores, Rollins will accept either the old SAT, the redesigned SAT or the ACT. In assessing SAT scores, Rollins uses the highest individual subscores of the same version of the SAT from multiple test dates. For applicants submitting both the current SAT and redesigned SAT, the results will not be superscored across the two versions. Rollins will not require the optional essay. The final admission application deadline. Applications received after this date are considered on a space-available basis. Learn more about the application requirements and deadlines for international applicants at Rollins. For complete details about first-year admission, visit Application Guide: International Applicants. Along with the regular admission requirements at Rollins, international students must meet additional requirements. Please request your scores to be sent to Rollins. Our TOEFL code is 5572. If you are submitting IELTS scores, we only accept scores submitted electronically by the IELTS test center. No paper Test Report Forms will be accepted. An institutional code is not required for IELTS. Please request your scores be submitted electronically by the test center. Any student that submits a foreign college/university transcript is responsible for having these transcripts sent through an evaluation service for translation. Josef Silny and Associates, Inc. and WES are the ones that Rollins uses for evaluation services. Learn more about the application requirements and deadlines for first-year applicants at Rollins. For complete details about transfer admission, visit Application Guide: Transfer Applicants. An official copy of your high school transcript. If you did not attend or finish high school, we require an official copy of your GED. TOEFL or IELTS scores if English is not your native language. Learn more about international student admission and requirements. *Any student that submits a foreign college/university transcript is responsible for having these transcripts sent through an evaluation service for translation. Josef Silny & Associates and World Education Services are the ones that Rollins uses for evaluation services. Fall Semester Admission The application deadline for fall semester applicants is March 1 for Priority Consideration and June 1 for Regular Decision. Candidates who apply after the admission deadline will be considered on a space-available basis and will be notified of their admission status within two to four weeks from the time their file becomes complete. Should you have questions about fall semester admission, you may contact the Director of Transfer Admission, who serves as your liaison to Rollins. Spring Semester Admission To be considered for the limited number of transfer and first-year student openings available each spring semester, you should submit all application information by November 1. First-year applicants are considered students who do not have college experience after high school graduation or students who are transferring from another college or university with less than the equivalent of a full year - less than 30 credit hours. In addition to the requirements above, first-year applicants are required to send a high school counselor recommendation and secondary school report. Notifications of admission decisions will be sent to candidates as soon as possible. 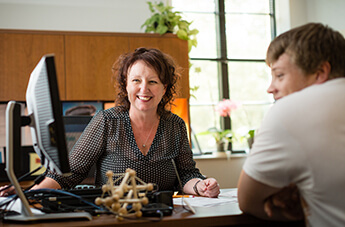 Should you have questions about spring semester admission, you may contact the Director of Spring Admission, who serves as your liaison to Rollins.